As the summer of 2017 drew to a close, many of Canada’s inland boaters — discussing the weather as always — found themselves beginning conversations with a head-shake of disbelief. Seemingly obvious culprits contributed to rising water levels on Ontario’s Great Lakes basin like high rainfall last spring, followed by more throughout the summer. 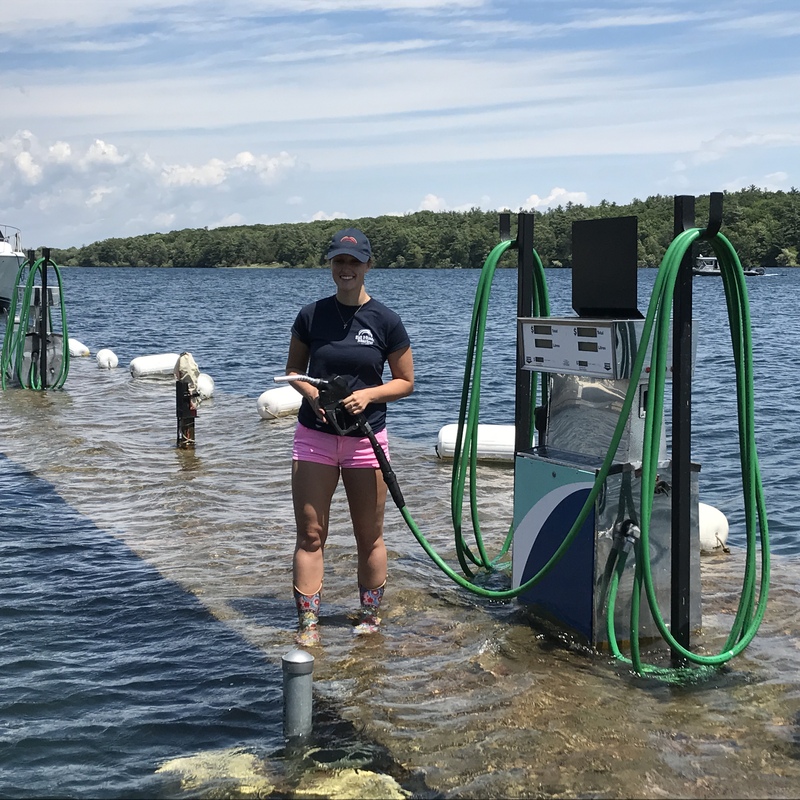 Across the lakes’ basin, including the St. Lawrence River, the high levels stood out in stark contrast to the low-water levels that reached crisis proportions on the upper lakes about four years ago. At best, high water levels were an annoyance that delayed or eliminated the boating season. At their worst, they brought damaging floods. 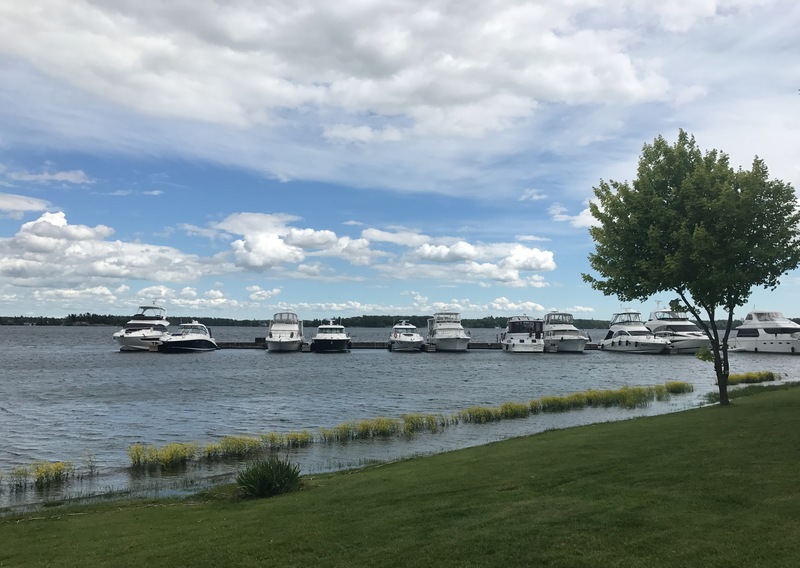 As summer turned to fall, many boaters and marina owners are wondering if anything can be done to better control or even predict radically shifting water levels. Weather-wise, the El Niño and La Niña patterns of warmer and colder zones that have been at work in the Pacific Ocean in the recent past were threatening factors as usual, but didn’t influence Canada’s summer weather. On the other hand, the jetstream high in the atmosphere dipped further north than usual in western Canada, bringing a hot, dry summer. In the east, the jetstream lunged further south than usual, bringing wetter weather. 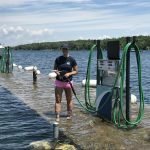 In Georgian Bay, boaters who remembered the catastrophic effects of record low water levels just four years earlier were glad they were gone. 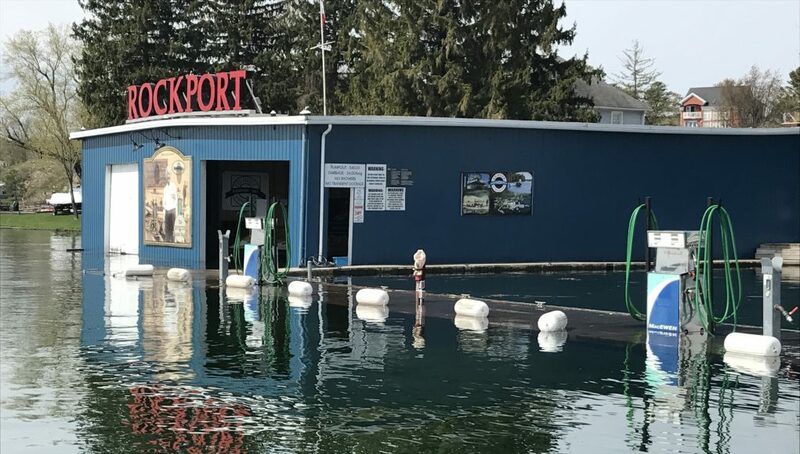 But while the recent cycle of low water had fewer effects on downstream lakes and rivers in 2012 and 2013, boaters in Lake Ontario and along the St. Lawrence River system were hit hardest in the spring. 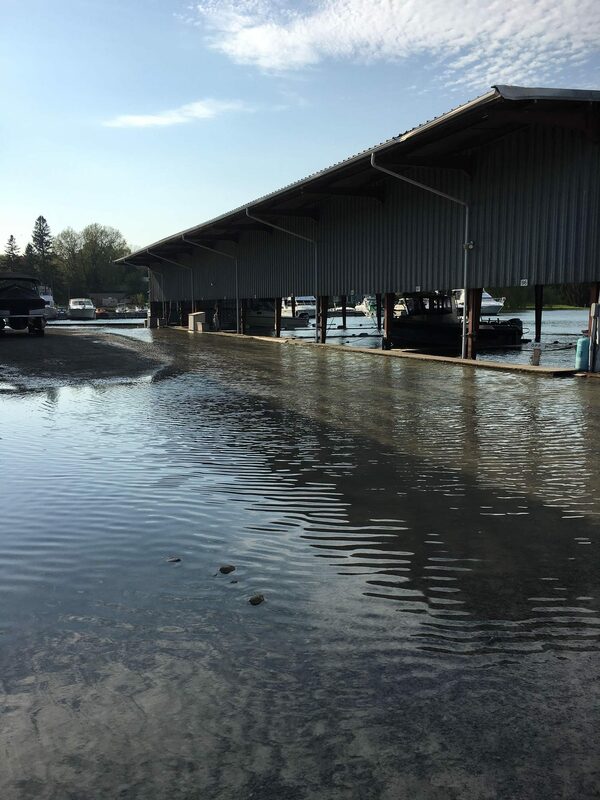 Marinas had flooded docks, and many had to delay spring openings. Even non-boaters in Canada’s largest city were touched by the crisis, as the Toronto Island amusement park failed to open until late summer. The St. Lawrence River shoreline was also awash. 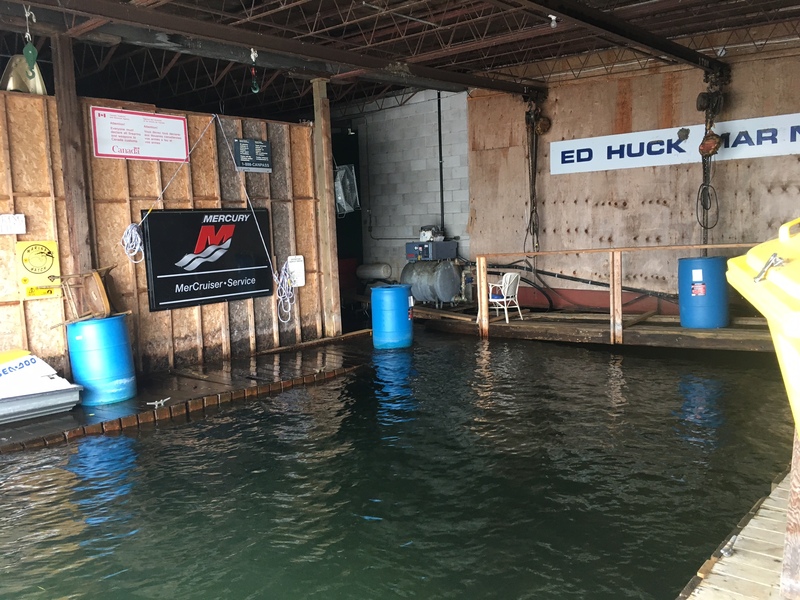 “We had a gas dock that was still under water in the first week of August,” says Scott MacCrimmon, co-owner of Ed Huck Marine in Rockport, Ont., in the heart of the 1000 Islands. Later that month, levels fell quickly. But beyond plenty of rain, what the heck is going on? For starters, it’s important to understand that water levels in the Great Lakes are not completely controlled. Human intervention can only help to slow or increase the flow and depths of water on the Great Lakes-St. Lawrence waterway through control points on the St. Mary’s River downstream from Lake Superior, and the St. Lawrence River east of Brockville, Ont. The International Joint Commission (IJC), which includes representatives from both Canada and the U.S.A., does its best to manage the flow on the transboundary system — fronting on eight states and two provinces — while balancing various uses of the waters. Recreational boating is just one of them. According to the IJC, heavy rain was the main reason for this year’s high water on the lakes and waterway. On the other hand, as an August newsletter from International Lake Ontario-St. Lawrence River Board (part of the IJC) notes, the rules on how to control water flow changed last year with what’s called Plan 2014. The plan was put in place when Lake Ontario was just 2.4 inches or 6 cm below its average for the previous 98 years. It allows for higher high-water levels during the summer, to help recreational boaters, with lower low-water levels during the off-season. Winter outflows are normally slowed down while ice is forming and then increased once ice is formed, to prevent damaging ice floes. Last winter, though, there were five periods of freeze-thaw cycles resulting in lower outflows during winter. The amount of water flowing into Lake Ontario was the second-highest on record since 1900. Further downstream, the St. Lawrence was also hit by record runoff from the Ottawa River. In mid-June, the water flow over the Moses-Saunders power dam near Cornwall, Ont., was increased to a record-level for three days, slowing down commercial shipping but giving boaters and other waterfront users a break. Wet weather continued during June and July, and despite higher-than-usual water releases on the St. Lawrence system high water levels continued until late in August. It was bad news for boaters in all of eastern Ontario. Opening of the Rideau Canal, from Ottawa to Kingston at the eastern end of Lake Ontario, was delayed until late May. All but a handful of the locks were then closed by high water for a week in July. 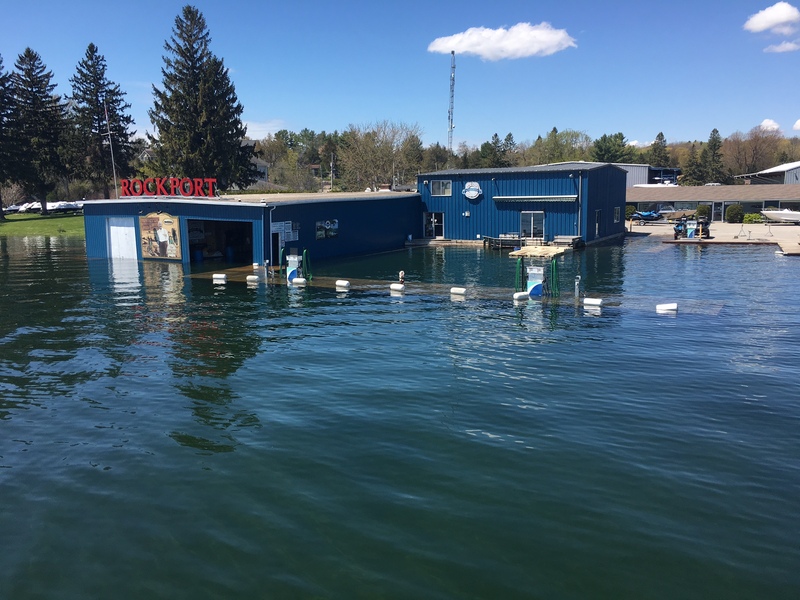 St. Lawrence River marinas were left with inaccessible docks and facilities. Many questions remain, about how current control systems and the bodies that make policies for them (like the IJC) address the needs of boaters. Looking back on the boating season, Rick Layzell, CEO of Boating Ontario, wonders whether something might have gone wrong. Water depths in all the great lakes fluctuate seasonally every year — up in spring to mid-summer then down in fall and winter. Longer-term multi-year cycles have also moved up and down since record-keeping began in 1918. Low water cycles have always been followed by periods of high water. The latest low-water cycle, though, dipped lower than the previous record low in the dry spell of the 1930s. As Georgian Bay boaters know well, it ended in late 2013. But until it did, there was much speculation that the long-term high-low-high-low cycle was broken. An advocacy group called Stop the Drop was formed to push for some kind of control over Georgian Bay water levels. At one point, it had close to 10,000 members and expected to double in size. A group of cottagers, the Georgian Bay Association (GBA), was already on the case, calling for more study and action on the issue. It helped form a group called Georgian Bay Forever whose studies pointed to the St. Clair River channel — artificially deepened by dredging and gravel mining — as a prime cause of artificially low water levels on Lake Michigan-Huron. Proposed solutions included berms or “speed bumps” on the St. Clair River. 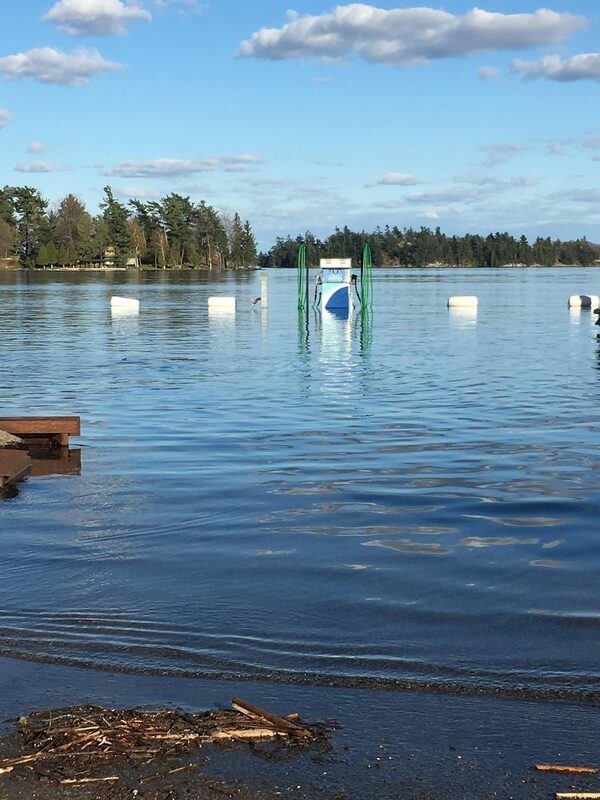 “Everybody prefers the water at this end of the spectrum than the other,” says Bob Duncanson, the association’s executive director, adding that Georgian Bay cottagers only complain about high water in a joking fashion. Still, the GBA is keeping up pressure for some kind of regulated flow on the St. Clair River. In the meantime, a new cycle of high water is well under way. Frigid winters in 2013-2014 and 2014-2015, with Great Lakes ice-cover slowing winter-time evaporation, helped push levels up to and then above averages. After a brief drop in levels in 2016, they headed up again this year. Stop the Drop has virtually disappeared; its website is gone and its main organizer has moved on to other issues. As last summer drew to a close, data from the U.S. Corps of Engineers — the American agency responsible for maintaining much of the Great Lakes waterway for commercial traffic — showed Lake Superior at 22 inches above chart datum, Lakes Huron – Michigan (effectively one body of water, including Georgian Bay) at 39 inches above datum, Lake St. Clair and Lake Erie 48 inches over datum and Lake Ontario 50 inches over. Because Lake Superior was within inches of its highest monthly averages, there was little likelihood water would be held back there. And while Lake Michigan Huron (including Georgian Bay) was still more than a foot below its highest average levels in August, it was also a foot and a half above long-term average levels. On the weather side, U.S.-based NOAA climate centre was saying that El Niño and La Niña effects were expected to remain neutral. Among meteorologists and climatologists, there’s a strong consensus that global warming was a big factor in the precipitous drops in water levels. Climate change — causing atypical and unpredictable weather patterns — could be behind water levels that are now spiking upwards. This article is featured in the Fall 2017 issue of Boats&Places.